Accolades have been never-ending over that time — Five Diamonds from the AAA; five stars from Mobil (now Forbes); two Michelin stars, more Wine Spectator awards than you can count; best restaurant in the Washington D.C. area seemingly forever; cooking for Queen Elizabeth — you know, the usual for a small country caterer who made good in a town of 158 people. Sometimes, a whole decade would pass (hello 1990s!) and it would slip off my radar a bit. 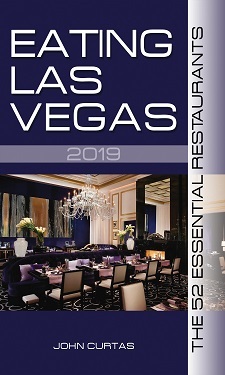 Then I’d pick up some food or travel magazine and there it would be, accepting medals and beckoning again — one man’s very particular vision of luxury; a chef’s fantasy come to life of what the ultimate in American fine dining could be. But then some plans would be derailed, or life would intrude, and before I knew it, two generations had passed without me getting to see what all the shouting was about. What O’Connell started in 1978 began rather modestly. At a time when Alice Waters and Jeremiah Tower were taking the West Coast by storm with their farm-to-table renaissance, and Le Cirque was defining the ne plus ultra of big city dining, O’Connell and his then partner, Reinhardt Lynch, decided to convert their catering business — operating out of a converted gas station — into a charming country inn. They were definite Francophiles in the Tower/Waters mold, but where Chez Panisse was a bunch of hippies cooking great food in a college town, theirs was a more proper sensibility. The linens were starched and the place settings were just so. Thus it remains to this day, and the attention to detail here makes this place as different from Chez Panisse as Judy Dench is from Joan Baez. But that starchiness fades as soon as you approach the doorway. The formality of the premises may be set to impress, but the welcome is as warm and sweet as shoofly pie. The design is Downton Abbey meets Colonial Williamsburg, with more than a touch of English flamboyance — which makes sense when you learn it was done by a British stage set designer. Chintz, portraiture and floral prints are everywhere — so much so that you’ll want to break out your hunting jacket and jodhpurs. (I didn’t ask, but their fabric-cleaning bill has to be through the roof.) Everyone is all smiles as you approach and every guest, even the regulars, seems to soak up and bask in the special-ness of the place. 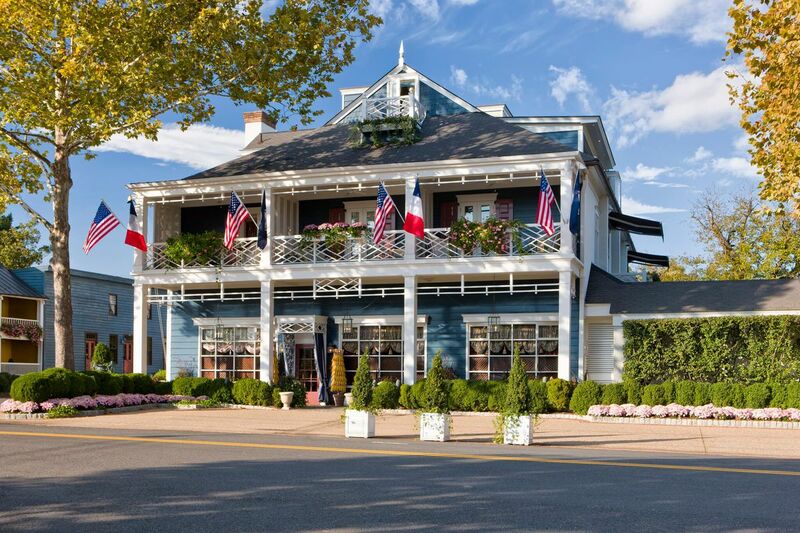 The decor may be over-the-top Anglophile, but the cuisine is resolutely French, and what is so astonishing is how O’Connell (a chef with no formal training) has been able to evolve with the times and present a menu that is both classic and modern. Besides those Wellfleet oysters — each as plump and briny as this shellfish can get — the Classics menu brings forth a carpaccio of herb-crusted Elysian Fields lamb loin (pictured above) — nine medallions of magenta-colored raw lamb upon which sit three scoops of “Caesar Salad Ice Cream.” The ice cream is flavored with garlic and Parmesan, and once you get past the surprise, you realize it is simply a cheese-infused aioli in a frozen, emulsified guise. This is O’Connell playing with his food (and keeping up with the times), but he does so without affectation and with a firm sense of flavor. More classically rooted is the duet of bread-crusted rabbit loin (above) with braised chestnuts, apples, and prunes — highlighted by the sort of dense, rich reduction sauce that makes you wish they served it by the spoonful. Following on the Classics menu was Pekin Duck Three Ways — pan-seared breast, sausage and confit — served on sparkling sauerkraut that would do an Alsatian proud. On the “Gastronauts” side, things lighten up a bit as they featured the season’s first white asparagus poached in cream, and presented with a dollop of Royal Osetra caviar, followed by foie gras with port-soaked raisins atop a rich, savory Catalan custard, and then a simple rectangle of grilled marlin decorated with peeled grapes and a curried hollandaise. This is not cartwheels-in-the-kitchen cooking, but the rendition of each dish was as on point as French food can be. Of all the mains though, the one that got our attention was a simple parsley-topped, very rare lamb loin, served with a crépinette of lamb merguez sausage, presented like a lollipop at the end of a rib bone. It was elegant yet simple, minimalist and precise, and gave the slightest of nods to modernist cuisine without giving in to the absurdity of it. A single meal, forty years into a restaurant’s run, hardly gives one the depth of knowledge needed to summarize a chef’s cooking. But my scant evidence told me O’Connell takes great pride in his proteins, and that he has almost perfect pitch when it comes to letting ingredients express themselves. As with all accomplished French chefs, it is the marriage of great food and wine that informs his dishes. And, as with the great, long-lived restaurants of France, a broad, deep, and carefully curated wine cellar is at your disposal. Choosing those wines will take some time though, since the eighty page list is a treasure trove of name brand bottles and obscure offerings. High rollers will enjoy all the big hitter verticals of Burgundy, Bordeaux and Napa cabs (at the usual choke-a-horse prices), while mere mortals will have a field day matching this wine-friendly food with plenty of selections under a hundred dollars. If you’re willing to venture into the world of Rieslings and Italian whites, there are bargains aplenty. Markups for non-trophy reds run in the 100-200% range over retail, which is modest by destination dining standards. Corkage is charged at fifty dollars for your first bottle, and seventy-five for the second, but they happily waive the charge if you purchase at least one 750 ml bottle (at any price) from their list. Much is made of the cheese cart here and the attendant puns (e.g., “You won’t Brie-lieve our selection.” “Havarti had that one?”) but the array is impressive and served at peak ripeness. 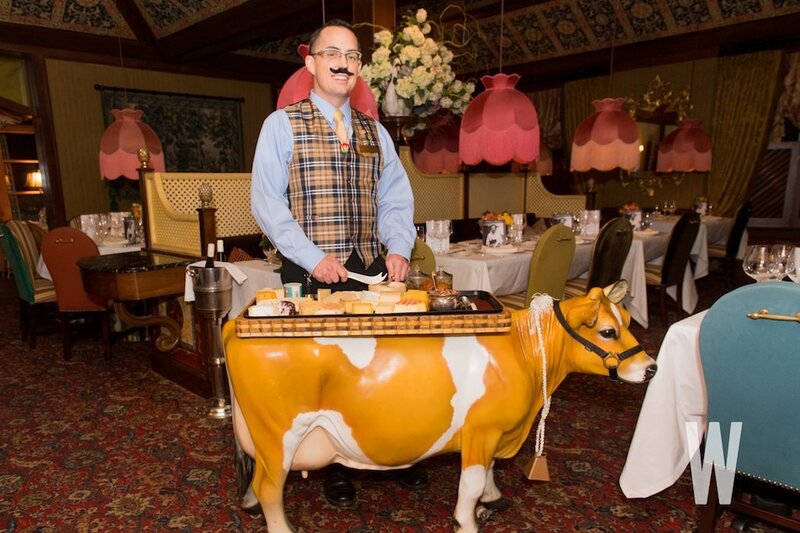 The fact that it’s presented on a rolling cow cart (that even moos!) only adds to the cheesiness of the presentation. It all might be a bit much for the over-serious epicure, but I was rather fondue of it. Desserts are more soothing than surprising. There’s no faulting the warm Granny Smith apple tart with buttermilk ice cream (above), or the lemon tartlet. The one curiosity — “Apparently A Pear” — disguises a bracing blackberry sorbet beneath a golden meringue crust, the whole ornament bathed with a warm, melting sabayon that dissolves the crunchy exterior and any remaining resistance you have to the old-fashioned charms of this place. Along with great food and wine, it is that old school charm and comfort that The Inn at Little Washington has been selling since January 28, 1978. There is a soothing quality to a meal here that very few, if any, restaurants in America can duplicate. You are cosseted from the moment you approach the front door until you bid adieu three hours later. In this era of bare tables, pin lights, interminable tasting menus, Instagrammable dishes and media-strutting chefs, it is a throwback in all the best ways. And it seems the qualities it brings to the table are now captivating a third generation of diners. On the weeknight we ate there, Gen-Xers and Millennials outnumbered the aging Baby Boomers in the very full dining rooms. Hospitality like this never goes out of style, and it won’t be another forty years before this aging Boomer experiences it again.